The choice of the best MTB elbow and knee pads is an important, yet relatively overlooked decision for many people. Protective pads are some of the most important safety features for mountain bikers, as they are some of the few protections that you have against falling off your mountain bike and sustaining injuries. With so many brands of pads on the market, it can be hard at the best of times when it comes to actually settling on a model to buy. The good news is that we have compiled the best knee and elbow pads for mountain bikes that can be seen below. These makes and models were chosen for their numerous positive reviews on sites such as Amazon, as well as for their competitive pricing. You can check out the pricing and shipping details by clicking the links below. Knee pads work to protect the joints and vital tendons around the knee, and they are usually constructed of some flexible yet resilient synthetic fibres such as Kevlar with silicone grippers. You should have no problem when it comes to finding the right size for your knee, as they are all adjustable with elastic strapping on the top and bottom of the knee guards. The Fox Racing Launch Pro is one of the most highly rated knee pads and guards on Amazon. Fox Racing is a ubiquitous brand with all things to do with motorcycles. 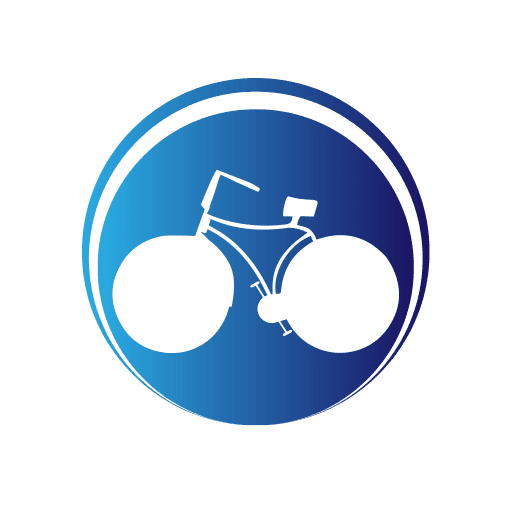 The company has been in existence for more than twenty years, and they sell a variety of highly regarded sports gear for professional and amateur riders alike. 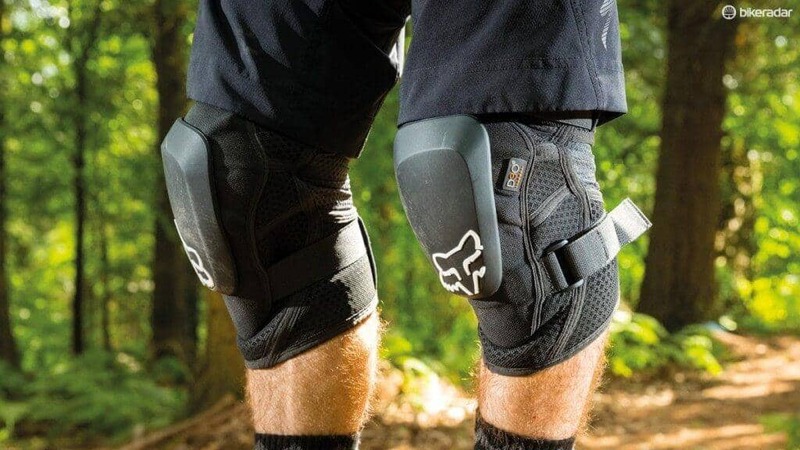 The MTB Knee Guard comes with a perforated main chassis that keeps you cool while wearing them, along with a pre-curved ergonomic fit for maximum comfort. The top and bottom strap allow you to easily adjust the setting of the guard, and it comes with a silicone gripper behind the knee. Launch PRO MTB measures 18x11x6 inches and weighs 1.1 pounds. For those who want an ultra-slim fit with no unnecessary movement, the ExoSkin Knee Pad by manufacturer Tripe Eight presents an ideal option. These knee pads feature an eight link foam padding for the kneecaps, as well as a Kevlar knee cover to absorb abrasion and impact damage. The ExoSkin was designed to be comfortable to wear, even during long journeys. It has a perforated neoprene body and an absorbent terry-cloth lining for absorbing sweat as part of its interior. The Triple Eight ExoSkin Knee Pad weighs less than one pound, making it one of the lightest knee pads on the market for mountain bikers. Like knee pads, elbow pads are a required form of protection. A shattered elbow can be a particularly nasty injury that can take months, if not years to fully recover from. With the vast amount of elbow pads that are available for purchase, there is really no reason or excuse not to wear them. Elbow pads are slightly heavier (and more expensive) than knee pads, as they cover more surface area around the arm. In saying that, a good set of elbow pads can be purchased for under one hundred dollars for a premium model. The Fox Racing Launch PRO comes in various sizes, so it’s important to choose the right model that will wrap around your knee comfortably and one that won’t move around too much when riding. The sizes are small, medium, large and XL. You can see a sizing chart on the product’s page on Amazon if you are unsure. The pads come with an articulated hard shell fortification to help you if you fall over or have an accident, with plush-padded elbow cups that are designed to help absorb shocks for impact resistance. The rest of the pad is covered with Kevlar for additional protection against scrapes and scratches. The pads are perforated with a neoprene construction that is designed for all-day wear, allowing you to keep cool with its breathable and lightweight construction. Additionally, the pads are easy to put on and take off, as well as to adjust when on the fly. The G-Form Pro-X is one of the few elbow pads that have been CE certified for indoor sports. The moisture-wicking UPF 50+ fabric protects against water damage and is also sweat-resistant. This material means you can go as hard as you’d like while still remaining cool and comfortable. The two-panel design means that the pads are comfortable to wear even on extended excursions and the pads are machine washable. The key difference between the G-Form Pro and those offered by Fox Racing comes down to price and the weight of the pads. The G-Form pro is slightly lighter and smaller in construction across all sizes, and also features additional technology such as RPT to provide additional flexibility when riding and impact protection when you hit the deck. The selection, covered here on Ira Ryan Cycles, for the best MTB knee and elbow pads can be seen and purchased on Amazon and is also where you can see the updated pricing and shipping information for each model. Prices and shipping terms are known to change from month to month, which is why the pricing details have not been included here. The best way to ascertain if a certain pad is going to work for you is by reading the reviews left by other satisfied customers. You will be able to get an objective point of view about the quality and features of each pad by studying the reviews, as well read some of the most frequently asked questions asked by other people.